Viva Decor PALETTE KNIFE SET 604127 at Simon Says STAMP! 604127 /3.0 This item is on reserve until If you would like to reserve this item now, you may purchase it now with the rest of your order. We will hold your order now and ship your entire order as soon as this item is back into stock. If you would like your order to ship now, please place this item on a separate order. 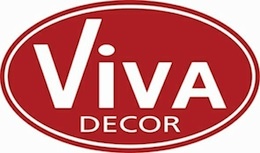 Success, Viva Decor PALETTE KNIFE SET 604127 has been shared! The perfect tools to work with Viva Decor's Ferro Metal Texture Colors and Viva Decor's Inka Gold Beeswax. Great for all craft media. The shapes allow you to make a variety of marks and impressions. Use to apply and mix mediums, paint, pastes and more. Fabulous when applying texture and mediums over your masks and stencils. Easy to clean up. Includes 3 knives of varying sizes. The knives (not including handles) are approx. 2.75 x 1 inches, 1.5 x 1 inches and 1.25 x 0.5 inches.